Keeping things simple and streamlined is our goal in everything we do and that’s also true for roof trusses. We offer a single point of purchase in order to save you time and headaches. Brunsell has tools and fasteners, residential design, millwork, windows, doors, cabinets AND truss design all at one location. Just like you we want to complete the job efficiently while keeping quality at the forefront. 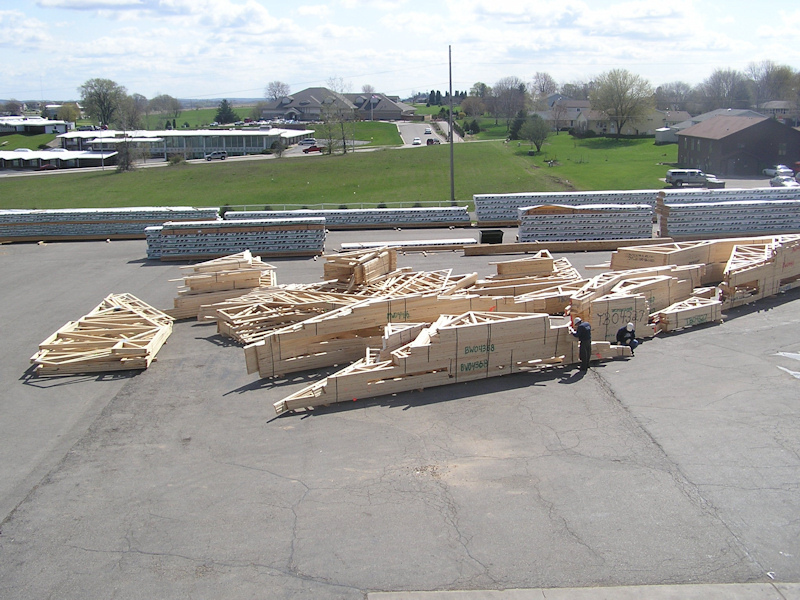 Our combined, truss, wall and floor panel department offers up a complete package with the highest-quality material. We also include direct communication with the essential people throughout the project. Our goal is to make things easier on the job. We build trusses for all roof planes, complete hip frame and valleys which result in less field framing. We also install oversized plates for unexpected handling and loading situations. Quality sets the course for every truss design at Brunsell. Simplify the build by providing a complete system including girders, hip framing, vaulted or coffered ceilings and more. All bearing on outside-wall or intersecting trusses. This system eliminates posts and beams and allows for clear span floor plans/open concept. 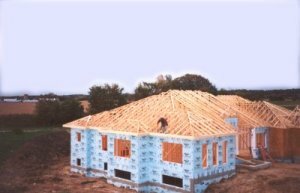 Floor trusses you can use for finished lower levels, rooms over garages, and bi-level and tri-level designs, along with standard home plans. Our floor trusses offer great flexibility for commercial applications, mezzanines, and storage areas. 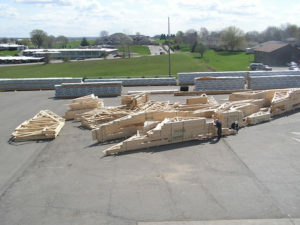 The trusses are engineered for longer spans, offer higher loading criteria, and allow you to clear spans without posts and beams interfering with space requirements. Let’s talk about putting together the best truss system for your current project today. We know our “all in one” approach will lead to another job well done!